Doughnut shops, bakeries, and a zillion other cafes have sprouted out and about, but Dunkin Donuts is here to stay. Choco Honey Dipped may be my ultimate favorite, but Dunkin Donuts’ Quezo Duo definitely gets the second spot. 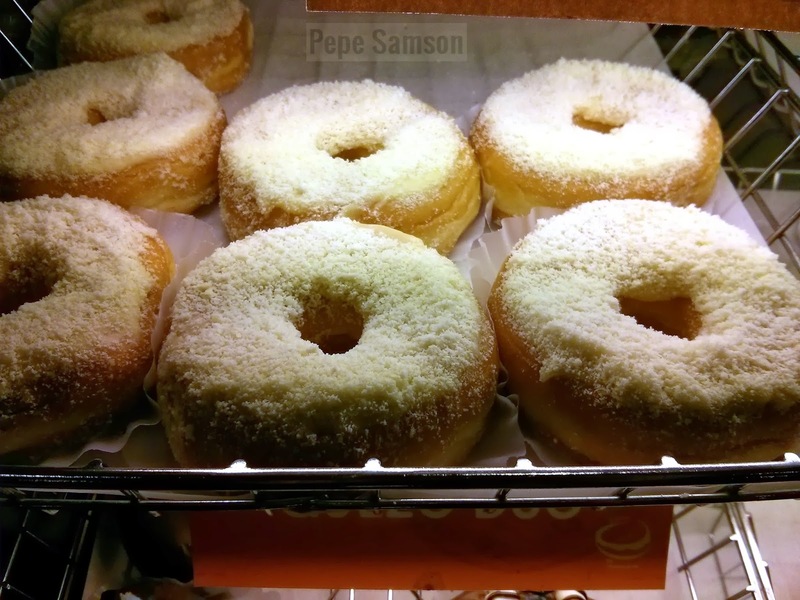 Topped with cream frosting and grated parmesan cheese, this not-too-sweet-and-slightly-salty donut variant never fails to tease the taste buds. My default choice at Dunkin Donuts whenever I want something savory instead of something sweet. The bagel is toasted—including the insides, unlike the crunchy-and-chewy ones you can buy from L.E.S. 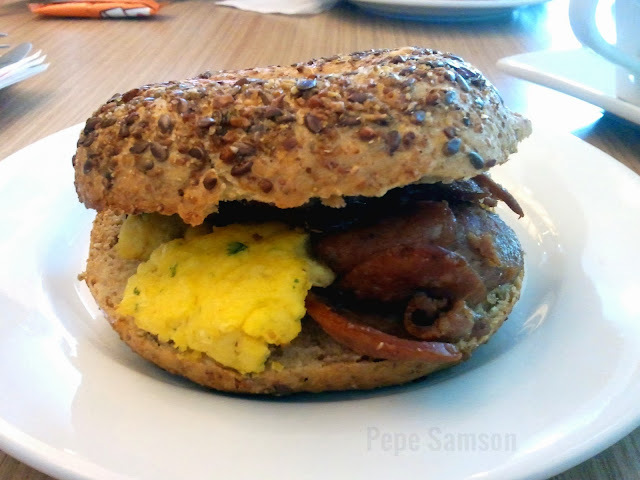 Bagels—but it’s the filling I actually go after: tangy sausages, scrambled eggs, and creamy cheese! 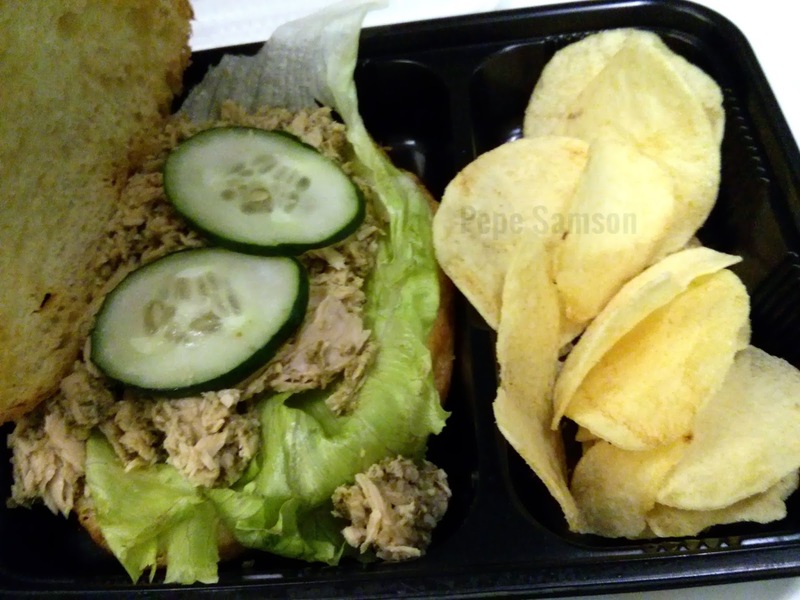 A decent sandwich, if you ask me—certainly better than Country Style bagels, which after a certain number of days of repetitive consumption may cause tooth loss. Pair it with Dunkin Donuts’ Original Brewed Coffee, which I pronounce to be the best and cheapest alternative to Starbucks’ ridiculously expensive lineup. Don’t you just hate ultra-sweet baked goods? My speculation is that those are designed either by hospitals to promote diabetes as an exciting way to die, or by restaurants to force you to buy their coffee. 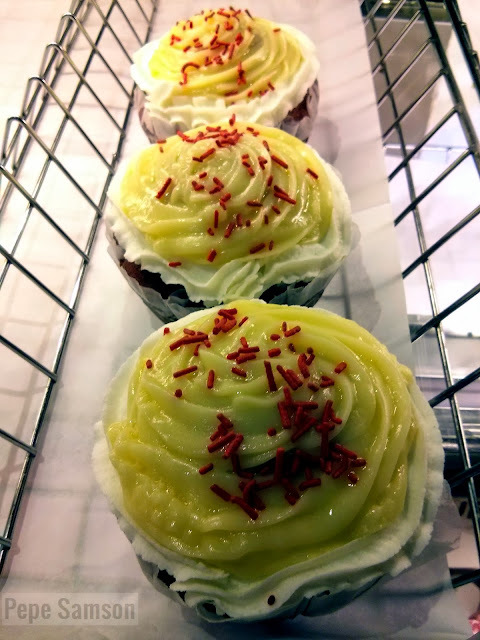 Disgustingly sweet desserts, pastries or breads generally turn me off, and though I’m not particularly suicidal, I surprisingly like Dunkin Donuts’ Red Velvet Cream Cheese Muffin (and its equivalent donut). It’s basically a crimson chocolate muffin with a 5% cream cheese and 95% sugar frosting, LOL! But sometimes, the caffeine addict in me dominates—so I still lose and succumb to temptation. I like anything with pesto, so when I discovered that Dunkin Donuts has this on their menu, I immediately tried it. 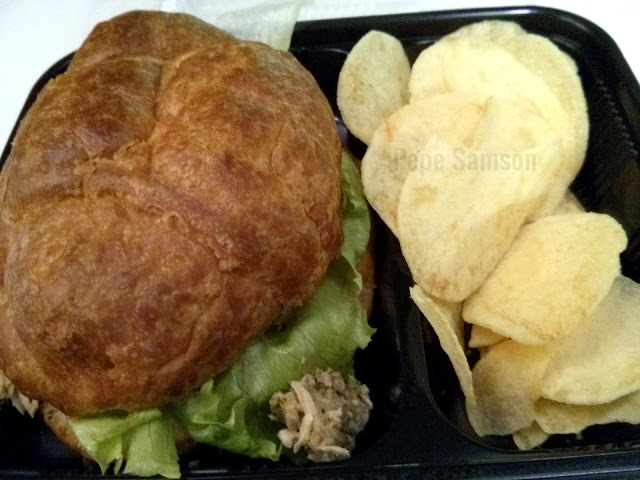 For P130, you get a generous serving of flaked tuna stuffed inside a croissant, along with lettuce, cucumber, tomatoes, and pesto sauce. It comes with a side of potato chips as well! Who cares if it’s actually healthy? What's your favorite Dunkin Donuts product? 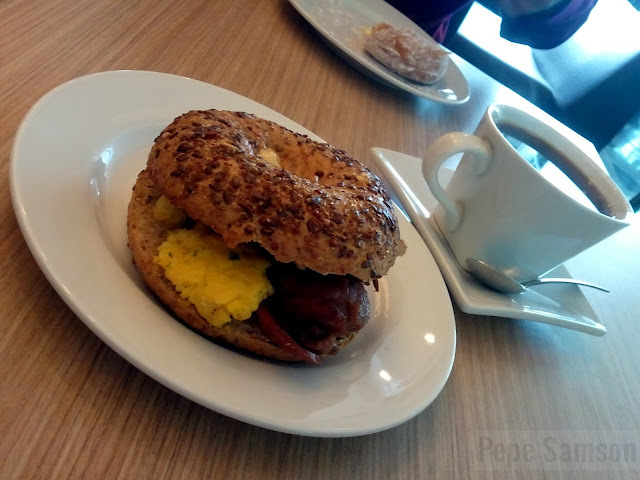 So sad we don't have the red velvet muffin and tuna croissant here in Cebu. It looks yummy!